Known as the MTC, it is a multipurpose learning facility containing seventeen Apple Intel Dual Processor workstations with internet software and fiber-optic internet connections. 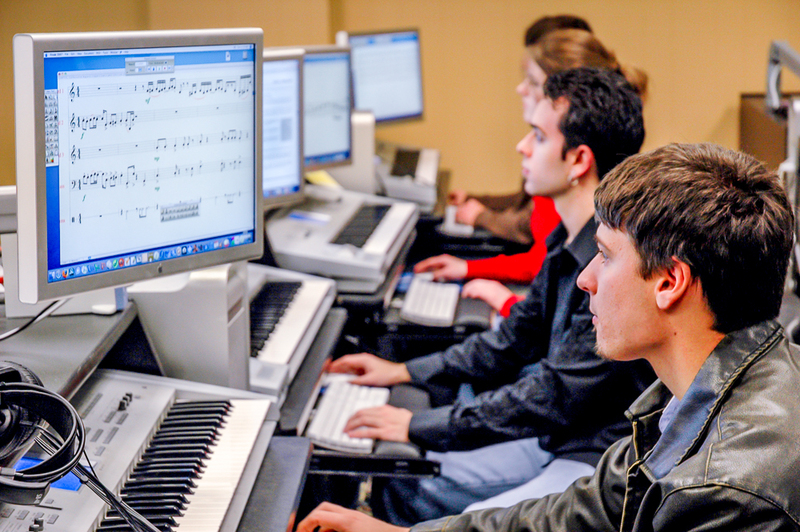 Each station is equipped with Korg Triton Workstations, MOTU Digital Performer, Apple logic Pro, MakeMusic! Finale, MS Office, MOTU MIDI Express MIDI interfaces, Macromedia Director, Arturia MiniMoog, Adobe Dreamweaver and Photoshop, Ableton Live, Reason, PEAK LE, ProTools, Waves Gold Bundle, iMovie, and various plug-ins and music theory software. 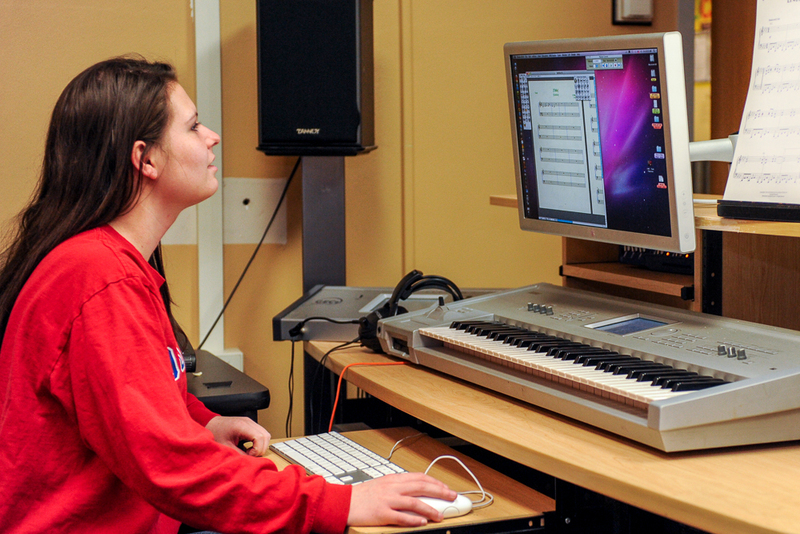 Students can also consign out Apple Laptops to develop performance and multimedia pieces. In addition hand held digital audio recorders, still and video cameras can also be consigned by students. An additional multimedia / digital video workstation provides multimedia support for completion of large projects in the form of a high-end Apple computer equipped with Final Cut Pro and various multimedia software packages, scanner, and color printer. The teacher's station features a Korg GEC-16 stereo communication system and ceiling mounted projector for classroom teaching. Class size is limited to 16 students to provide one student per station teaching facilities.